If you’ve never heard the saying that health is not just the absence of an illness, then we welcome you to the world of behavioral and mental health. Behavioral health is about addressing mental health needs which range from severe mental illness to supporting people to grow in their own lives. April, 2014 marked two years since six community mental health centers closed in the City of Chicago. These community clinics served as vital resources for maintaining the stability of the under or uninsured who needed assistance with mental health. You can check out what’s being said about the community mental health clinics closures here. Throughout all of this, the IMAN Health Clinic remains committed to the health and wellness of all, and seeks to strengthen its behavioral health capacity. The Clinic has staffed a clinical psychologist, Michelle Anderson, PhD, to offer direct services and expand the program. Dr. Anderson has an extensive background in community mental health needs. She has worked with youth (age 10 and older), as well as adults and families in different locations. The behavioral and mental program at IMAN’s Health Clinic offers services including individual therapy, career and life sessions, marital/couples sessions and family sessions for families with children ages 10 and older. The program is also seeking to collaborate with other organizations in the area to address issues related to violence and safety. The behavioral health program will provide group events to give the community the opportunity to learn new ways to reduce stress and increase positive emotions. Eventually the behavioral health program will expand to include more counselors and professionals seeking specialized training in community mental health. Behavioral health service hours at the Clinic are currently: Tues and Wed from 9:30-4 and Thurs from 1-4. 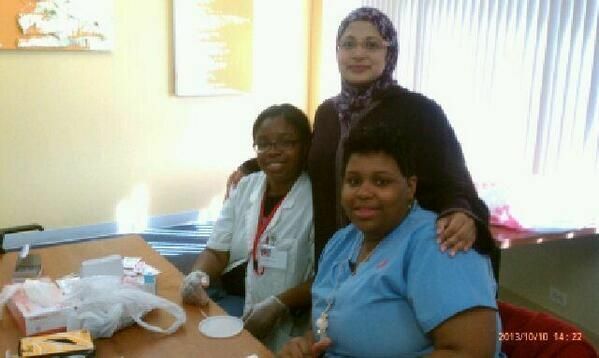 The behavioral health program at the IMAN Health Clinic is supported by the Chicago Community Trust. The expansion of IMAN Health Clinic continues. The Clinic is now open Monday through Friday 9 AM–5 PM, in addition to our original hours of Sunday, 10 AM–2 PM. This is a remarkable development in several ways. First, we are continuing to increase access to our community that is in the middle of a medically underserved area. Second, we have moved into uncharted territory with our Clinic being open 5 1/2 days a week. Third, this represents the largest expansion of the Clinic at one time, increasing from six half-days a week to 11 half-days a week. This move is the culmination of a great deal of planning and deployment of resources and moves us further along our path toward a fully holistic and fulltime health center. IMAN’s Health Clinic began in response to the lack of access to healthcare on the South Side of Chicago, as a grassroots clinic providing health screenings two days a week. Over the last five years, IMAN’s Clinic has transitioned from a basic, grassroots clinic into a comprehensive health center that operates six days a week: Monday, Tuesday, Wednesday, Thursday, Friday and Sunday. As always, we will continue our best efforts to maintain the highest quality of care and standards of efficiency, and the commitment to a welcoming and culturally sensitive environment, on behalf of everybody involved with the Clinic. As we continue our journey, we will always need support and input from the communities that we serve and that support us. If anyone has any interest in health care and wishes to join our efforts, please contact us. During the month of Ramadan, IMAN’s Health Clinic will reach a key milestone of treating one hundred patients per week, God Willing. This represents our commitment to continue increasing our capacity for delivering health care services to our local community, which has a great need for such services. While expanding Clinic hours is an obvious precursor to this increased capacity, it has also required growing the number of volunteer physicians and Clinic volunteer staff, and streamlining the electronic medical records system and other technical infrastructure that the Clinic runs on. A new medical billing system will, also, go into production in Ramadan. Over the last few months, we have been working with several providers to implement this new system for the Clinic, in order to facilitate a more efficient operation. This, in turn, once again, will allow us to continue to expand the delivery of our services. The mission of the IMAN Health Clinic has always been to provide free, accessible and holistic health care to as many in the local community as possible. The most important part of increasing the Clinic’s capacity to see patients is to increase the number of sessions that it is open to the public. In this regard, the Clinic reached a new landmark last month: With the addition of a second session in the morning, Wednesdays have now become the first full day that the Clinic is open to patients. This full day of patient interaction on Wednesdays will also serve as a template for other full days that are in the planning phase. Of course this increase in capacity and timing requires us to increase human resources and improve the technical infrastructure of the Clinic. 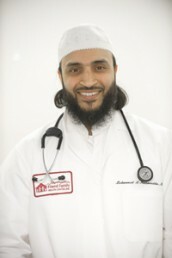 Accordingly, in recent months, we have added three new volunteer physicians: Drs. Obaid Shafiq, Omar Ahmed and Muhammad Haque have all joined our team. We have also added several new volunteers to help with other needs of the Clinic. On the technical infrastructure side, we are working with several providers to implement a new medical billing system for the Clinic, in order to facilitate a more efficient operation. Providing health care that is holistic and culturally competent also requires us to deepen our understanding of the specific needs and circumstances of the local community, and to look beyond treatment toward things such as education, prevention and making healthier choices available to local community residents. Such deepening of both knowledge of and relationships within our community, while continuing to grow the capacity and timings of the Clinic, has been my primary challenge, since starting as the Clinic’s Medical Director about 18 months ago. Regarding this other main task of the Clinic, i.e. the deepening of the relationship with our community and its residents, there are three main areas we are focusing on in detail: determining needs, educating, and creating solutions. As an example of determining needs specific to our community, the Health Clinic is conducting surveys around the issue of violence that is a prevalent part of the personal and social reality of local residents. This survey is actually the start of a violence prevention initiative in the community. In the area of community education, Clinic staff is working with Muslim Run: A Campaign for Health, Wellness and Healing to produce the health education component of that campaign. Finally, and most importantly, the Health Clinic has several creative and collaborative projects underway to implement solutions and interventions for our community residents. As one example, we have hired an intern to work on a grassroots strategy of health management outreach: The intern will pick several health conditions and for each condition form a small support group run by qualified personnel to better address the health concerns of patients alongside their Clinic visits. In another example, Clinic staff is working with the South Side Healthcare Collaborative to improve access to specialty care in the area. This is an exciting time to be part of the IMAN Health Clinic. Due to planning and development on our part, and thanks to crucial support from our donors and partners, we are continuing to meet the growing demand for our health care and services. 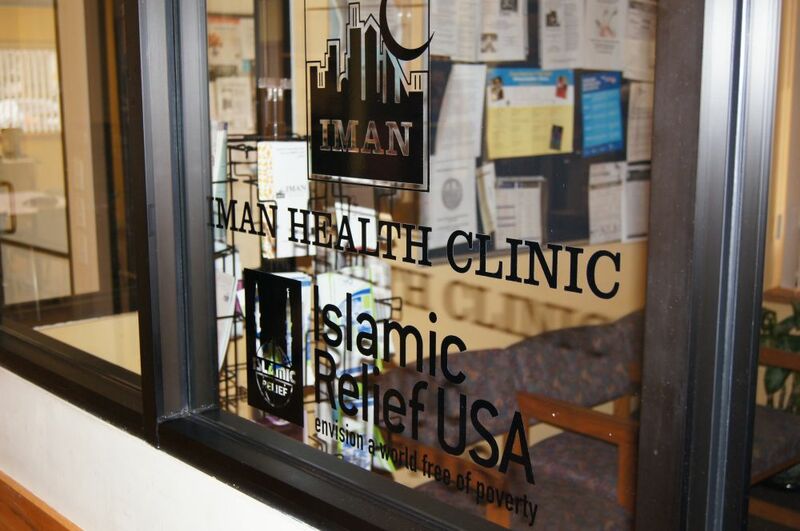 IMAN’s Health Clinic is funded in part by Islamic Relief USA.